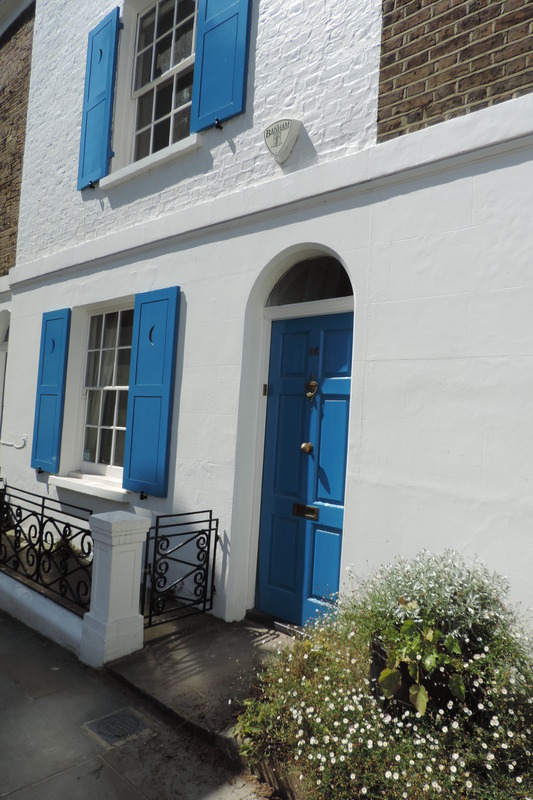 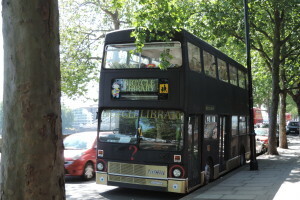 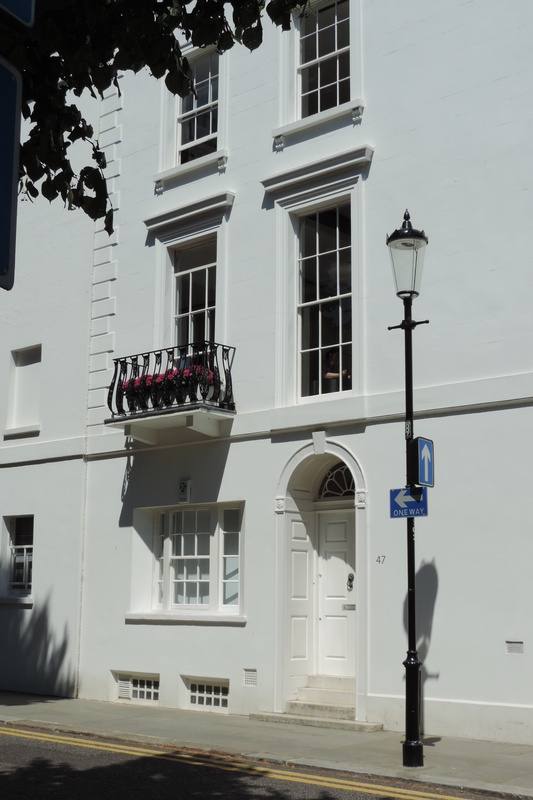 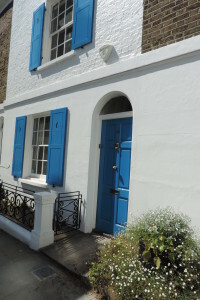 In summer 2013, a literary scavenger hunt had us scouring London’s Chelsea neighborhood, searching for the English Heritage blue plaques marking the homes of writers ranging from Mark Twain to Bram Stoker. 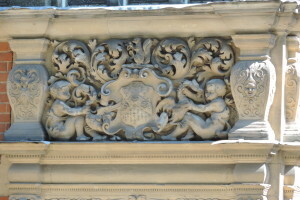 You can read about that in the previous post. 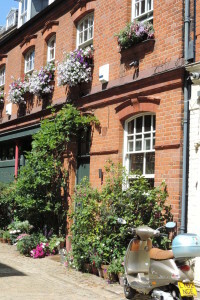 However, Chelsea also charmed us with its pretty streets, lovely homes and beautiful gardens. 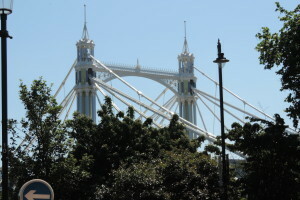 Here is a glimpse of some of the other things we saw. 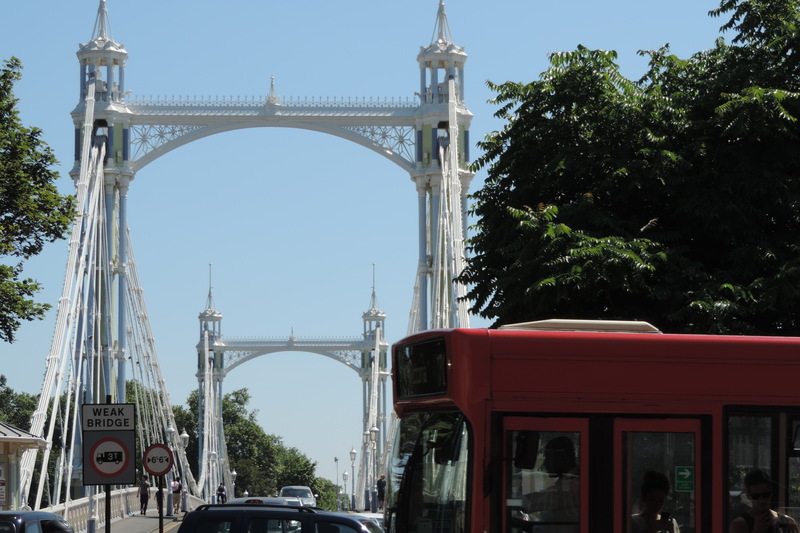 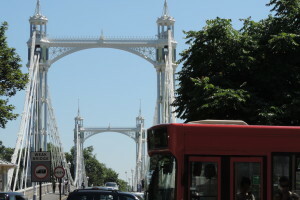 Chelsea borders the river where you find the beautiful Albert Bridge. Also along the river, we came upon this “bicycle library,” a converted double-decker bus where they will loan you bikes and cycling accessories. 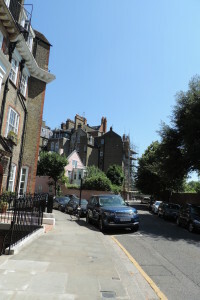 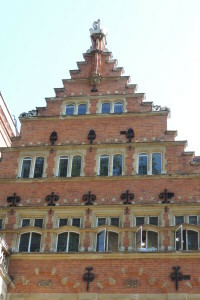 There are many different types of dwellings in Chelsea. 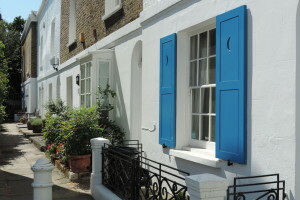 I liked these homes with the bright blue shutters. Nearby, we found a square blue sign that told us “Chelsea China” was manufactured there. 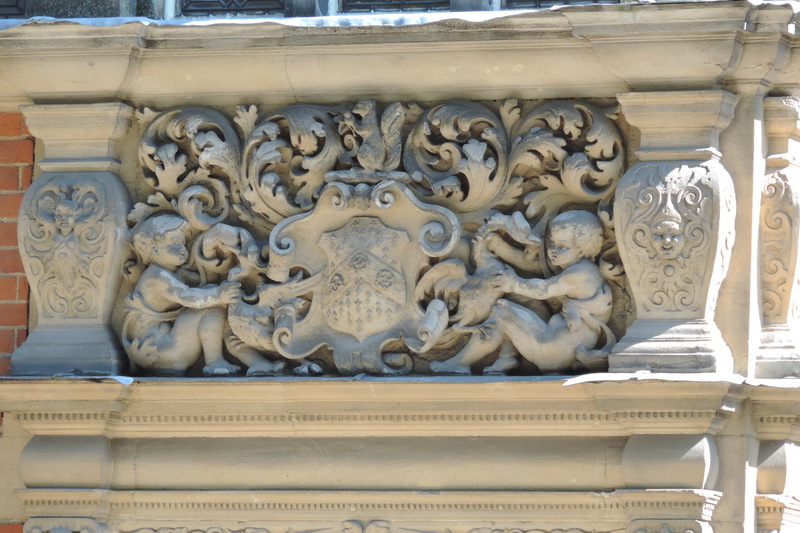 The building also had a plaque for novelist Tobias Smollett (I had to look him up, apparently he’s a satirist known for his “picaresque” novels). 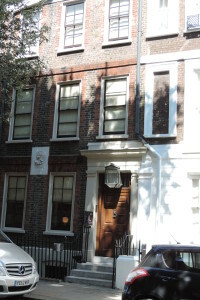 Also in Chelsea, you can tour the home of philosopher Thomas Carlyle. First we came upon his statue and then we saw his house. We did not have time to tour. 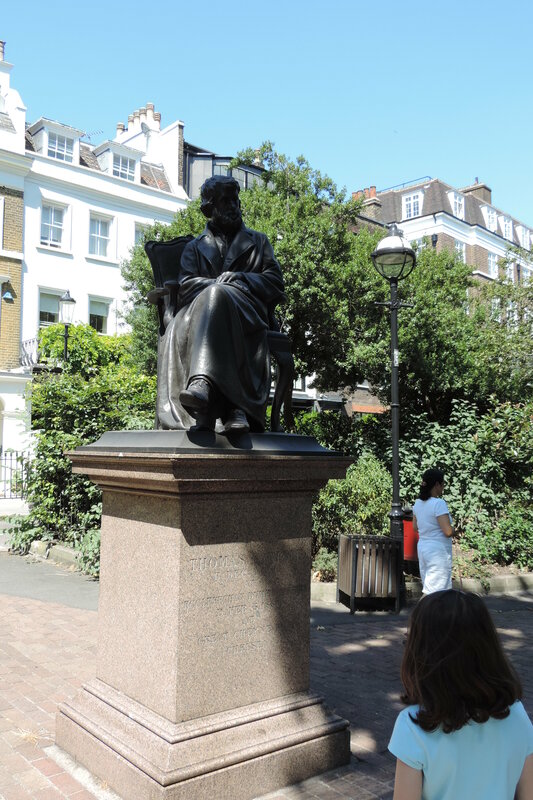 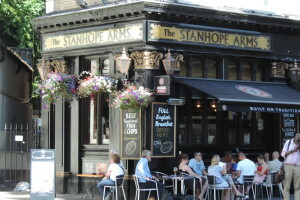 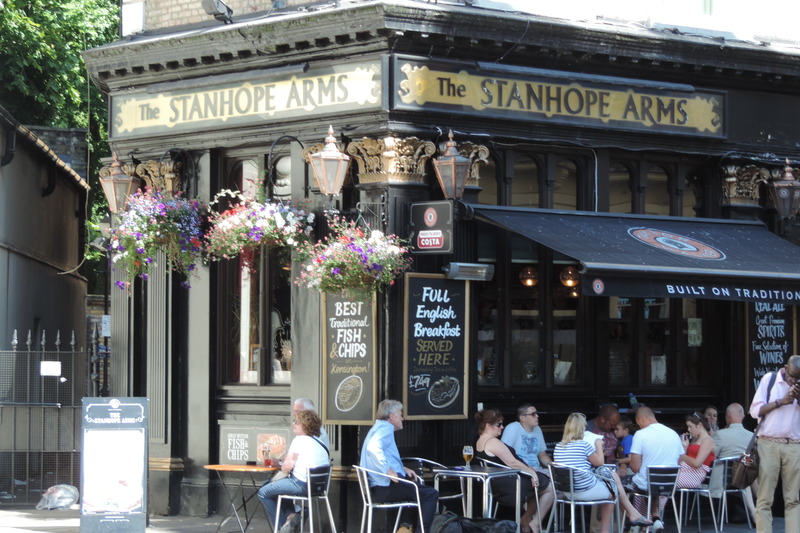 Lots of famous literary folks, from Dickens to Tennyson and Thackeray visited Carlyle, so may we add it to the itinerary for our upcoming London trip. We leave you with more scenes from Chelsea. 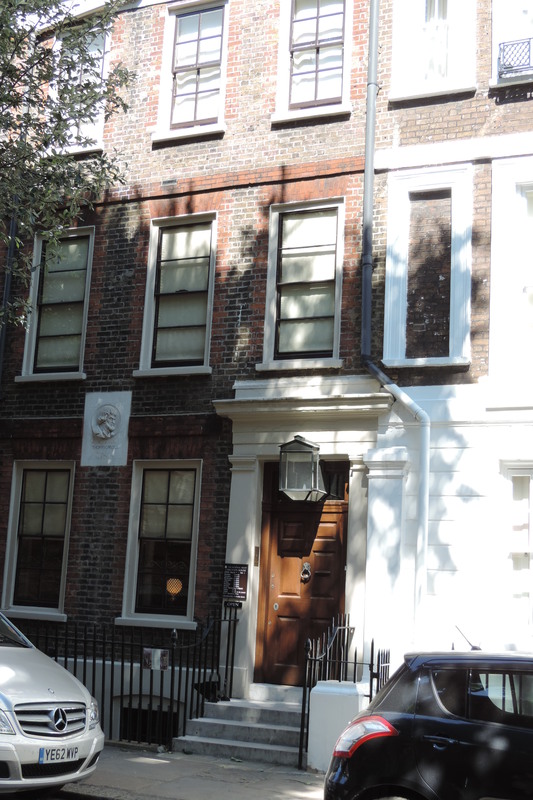 In the nearby neighborhood of Kensington, we picked up a bonus sign for dramatist Sir W.S. 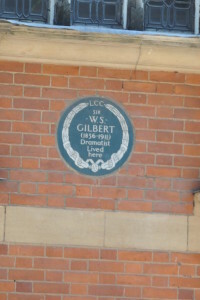 Gilbert (Gilbert & Sullivan). 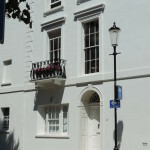 My friend Beth wanted to get a picture of the house where she stayed as a student. 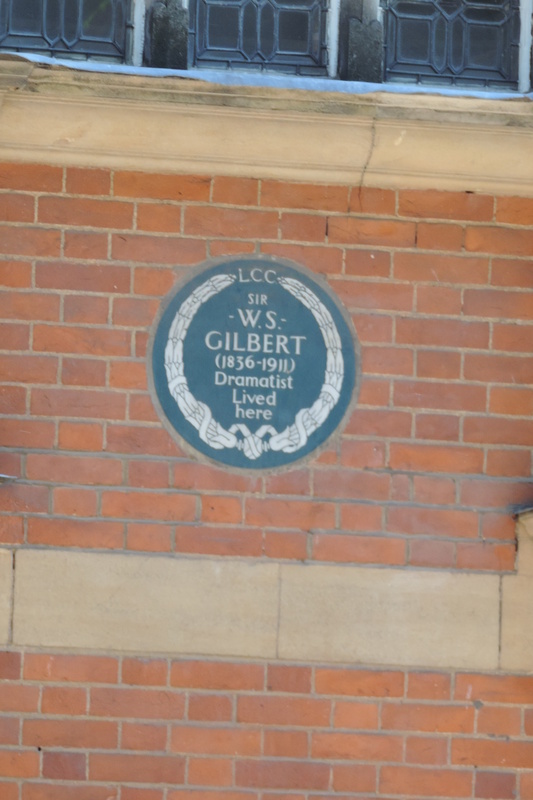 Gilbert was on the same block. 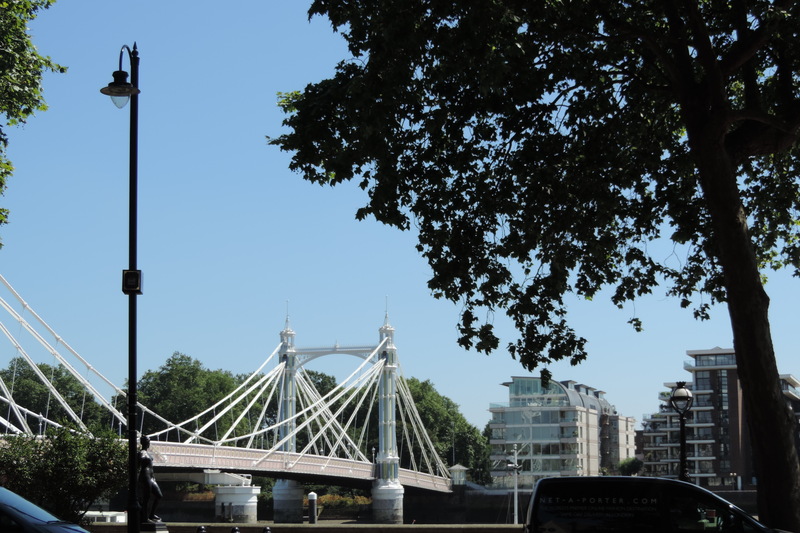 You really can’t go very far in London without finding historical connections! There are so many wonderful things to see, go see for yourself. 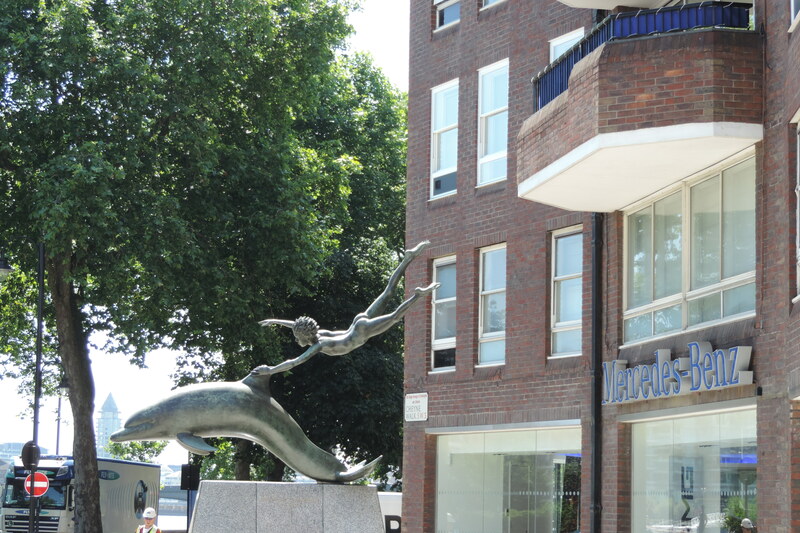 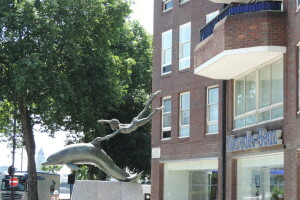 Cool statue, Chelsea, London – this boy looks like he is flying!